Your Voice Matters – We Want To Hear From You! Library Planning Consultant Anne MacKay will be at Windsor Public Library (850 Ouellette) on Wednesday, March 29 to hear how the community connects to the central library and gather input on ideas and innovation for a future library. The session is scheduled from 6:30-8 pm and will be in the Ouellette Lobby on the first floor. The community is welcome to attend. Together with Architect Jason Grossi of design studio g+G, Ms. MacKay has begun community and staff consultations on how best to ‘right size’ the 101,000 sq. ft. facility. Additionally, a public survey has been posted to the library website – www.windsorpubliclibrary.com – for members of the community wanting to provide input. Paper copies of the survey are available at all library locations. The survey will be available for 6 weeks and will form a part of the report which is scheduled to go before the Windsor Public Library Board in November 2017. The consultants will also be gathering community and stakeholder opinion in a series of meetings and discussion groups. Windsor Public Library retained consultants to study options for the future of Central Library. This is the beginning of the final phase of WPL facility recommendations approved by city council in May 2015. 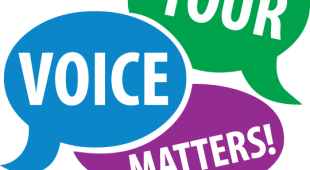 1 Response to "Your Voice Matters – We Want To Hear From You!" It was an interesting public meeting with the Library Planning Consultant Anne MacKay on March 29. Listening, but the Architect seemed to be pretty much off to the side with other Library Officials. Perhaps the WPL could consider holding a Design Charrette format weekend with the public before the release of the final report. This could serve to instil greater levels of participation and innovative thought between the architect, the WPL and the public. As any good architect knows, the seed of great design ideas often sprouts from a diverse and better informed public. March 29 was small, but reasonable attendance by the public with some good questions and ideas. I’m not sure this time limited, one off open discussion carried a broad enough section of the public. I realize there may have been other individual ‘stakeholder’ discussions that the general public hasn’t yet been privy too. However, this meeting didn’t seem to carry any in depth discussion about what other very successful Main Libraries in other cities (for example, Halifax, Nova Scotia) have achieved. It seems that some of our City Officials endless chase to the bottom line on things like social and cultural programs (while oppositely going hog out on sports facilities) could have a potential detrimental long range effect on the WPL system they now control. We see great WPL advancements coming with the proposed new Sandwich and Optimist Park Libraries, but we almost lost the Seminole Branch. While trying to be optimistic, the public has to be wary that a recent Windsor Mayor and City Council once attempted to diminish our gem of a Main Library by unwittingly considering its closure and sale. Only to transport its remnants to the New Aquatic Centre and/or Art Gallery of Windsor as a partial, deficient adjunct. Why not offer the public a chance to look at the actual original plans of the Main Branch of the Windsor Public Library from the archives in the Main Branch basement. Let the Main Library display itself to the general public, not unlike the art on its own walls. Invite the public along with some other prominent Windsor academics and professionals to have an extended, open public discussion about the future of the Main Branch in a design Charrette format. This format has been used in Windsor before for Civic Gateways etc. Many know the tremendous success that other Cities have done using an extended participatory, live format. We must remember that our neighbour City of Detroit looks at its existing Main Library on Woodward Ave. as an essential part of its social, cultural and educational fabric. The Main Branch of the Detroit Public Library remains its flagship building and Library Centre and was never even threatened during Detroit’s Bankruptcy debate. The DPL building itself is a work of art. The existing Windsor Main Library is a modern, late 1970’s modern connotation of our Cities progress. One only has to notice every day architectural details like the intentional smooth polishing of the interior portion of of second floor exterior rough finish columns to see this attention to detail that the Windsor architectural firm of Johnson & McWhinnie paid to their design. A large window naturally lit, very flexible open space design. Built in archives, large lecture room, built in Library Administration offices and even a built in Library truck receiving area to say the least.